My family and I really love kale. We first were introduced to kale about 4 years ago when we traveled the US in our motorhome for one year. We found that our refrigerator was small and we had to look for new ways to eat our meals. In came the smoothie craze. I could easily store vegetables and fruits in a large cooler much easier than I could store gallons of milk for cereal in my shoebox of a refrigerator. This was also the start of discovering that we wanted to eat healthier. Smoothies fit in perfectly with our new lifestyle changes and so did kale. Since this time I have been using kale in a variety of other recipes. 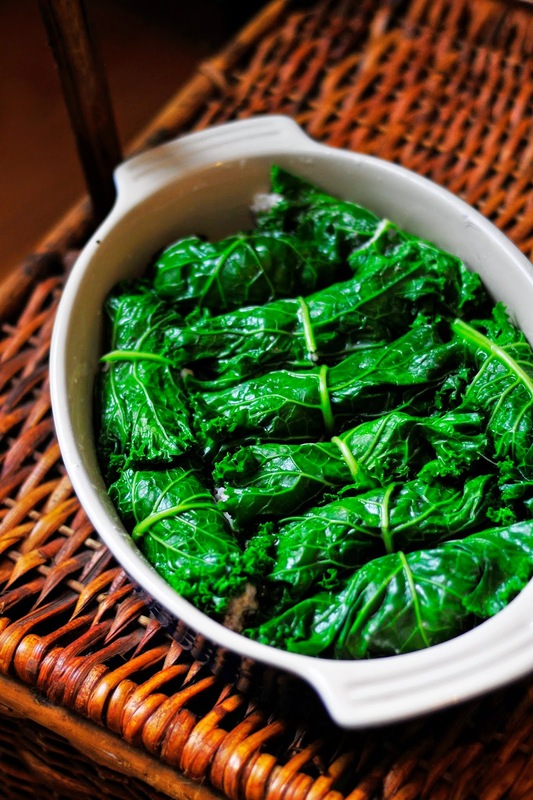 I add it to our pasta dishes, meatballs, make the ever-so-popular kale chips and then thought to myself, "what about using them in place of cabbage in our favorite roll?" It worked and a star was born. I actually like the kale more than the cabbage. The kale has a different texture--it's sturdier than cabbage- and the flavor is different. My kids like it better because the flavor of cabbage is not their favorite. 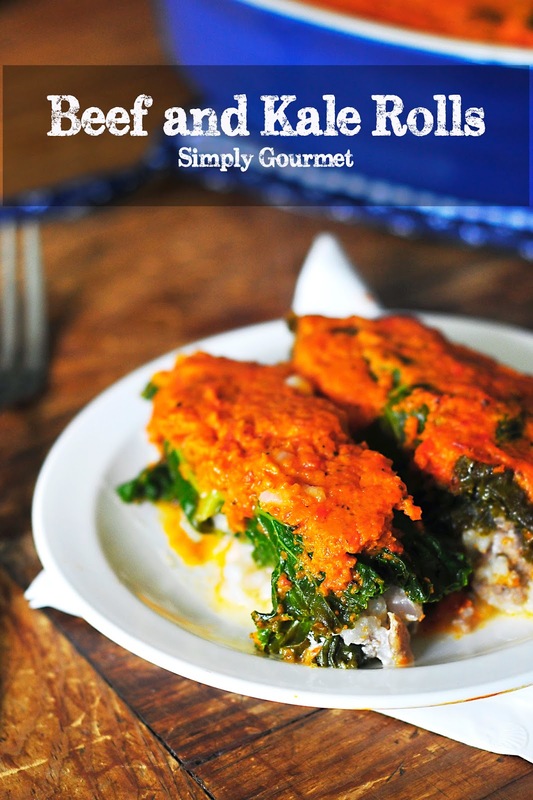 This recipe is another recipe I created in my attempt to use up left over rice in my fridge. I have come to appreciate left over rice and look forward to finding it in the morning taking up extra room in my refrigerator. Some of my favorite recipes are using up the rice that we made the night before. This recipe is made with all homemade ingredients. Let me just say that homemade is not store bought. DUH-right? But you would be surprised by how many people are used to the store bought flavors of so many premade ingredients. Tomato Sauce is a great example. Often times the store bought version is sweet and full of LARGE flavors. I find that my tomato sauce is not so robust. First it taste like tomatoes. Simple tomatoes. I add a few ingredients to build the flavor up a bit but it is not a sweet sauce. Of course, you can change that by adding your own honey, molasses, maple syrup or refined sugar to match the flavor of store bought condiments. We don't do that. We are trying to eliminate sugar from most of our dishes. Our taste buds have adjusted just fine and my kids don't miss the store bought varieties. With this thought in mind, if you need to use store bought ingredients--then do. I will always encourage you to cook from scratch because I believe it is a healthy choice but I completely understand when, for a variety of life style reasons, a store bought item needs to be used in place of my suggestion. 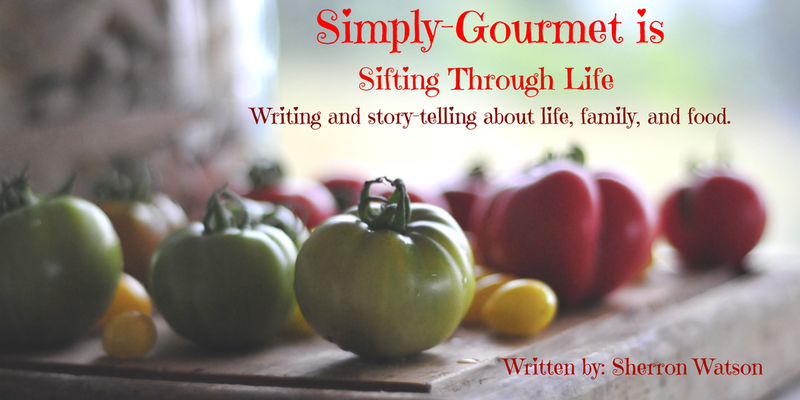 This is part of learning to cook--to make adjustments that meet the needs of your family. Look at the recipe and decide to make it as is OR make it with your own adaptations. Just keep in mind that when you start substituting ingredients the recipe's flavor profile may change slightly. 1. Preheat oven to 350 degrees. Start a large pot of water (for the kale). Let it reach a boil. Prepare the tomato sauce (recipe below). 2. In a medium frying pan heat oil and saute onions for 4 minutes, add garlic and saute for 1 minute. 3. Toss the ground beef into the onions and garlic and fry until cooked through. Remove from heat and drain off any excess oil. 4. Add the kale leaves to the boiling water and blanch for about 4 minutes. You be the judge. The longer they cook, the more tender they will become and may fall apart a bit when rolling the rice and meat inside. 5. In a small bowl combine 1 cup of cooked rice, the cheese, salt and pepper. Mix well. Combine the meat/onion/garlic mixture with the rice/cheese mixture. This is your filling. 6. Take a 7X11 baking dish or something very close, and spread the remaining rice on the bottom of the dish. Take a kale leaf, cut the hardy part of the vein out, and add your meat/rice mix. Roll and line them up next to each other (see photo above). The amount you add to the leaf will vary on size of leaf and how many leaves you are working with. Try to mentally divide the filling between what you have prepared. 7. 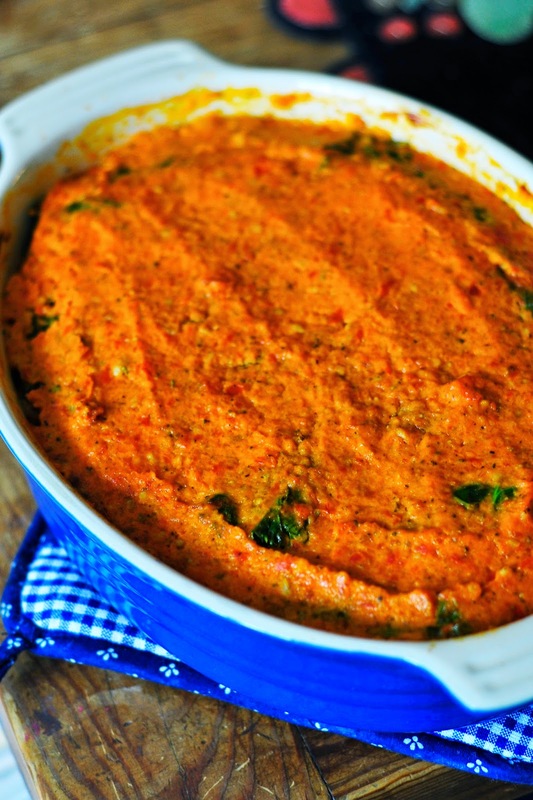 Top with your favorite red sauce (homemade or premade) and bake for 20-25 minutes. 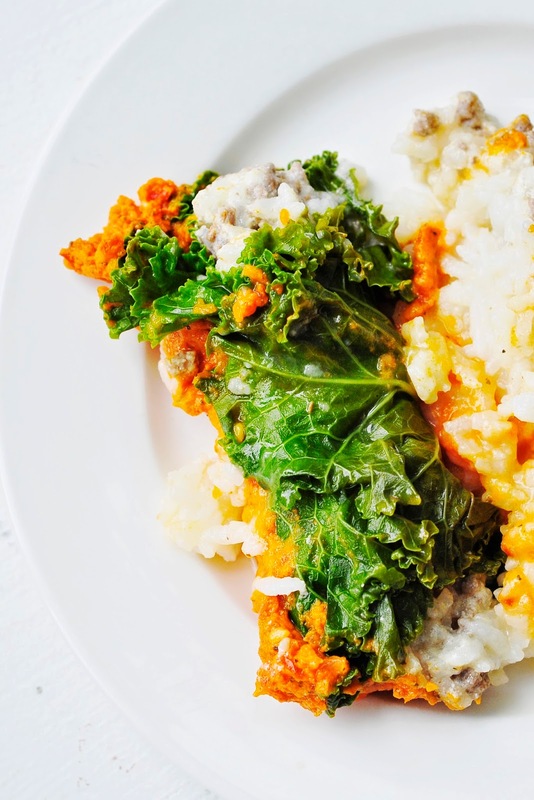 The sauce should be bubbly and the inside of the kale rolls warm. Remove from heat and serve. 2. You have two choices: transfer to a medium pot and simmer for 30 minutes to reduce or take two cups and cover the top of the cabbage rolls in the recipe above. The rice will soak up some of the "loose" tomato juice in the recipe.